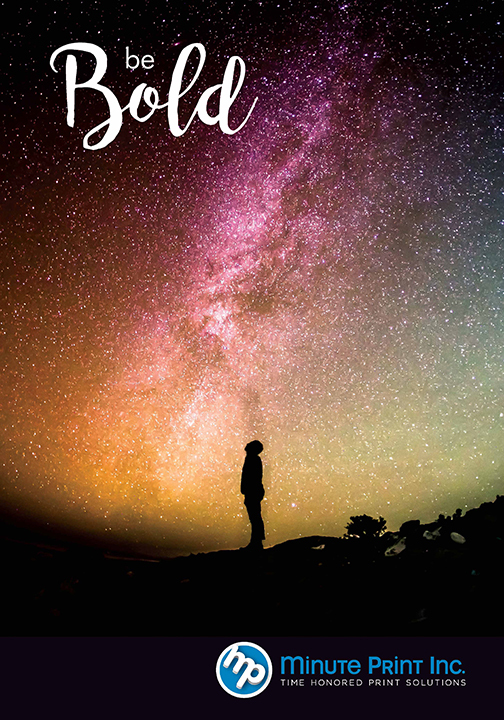 Minute Print introduces our "Be Bold" marketing campaign with our new capabilities brochure. We are happy to announce updates to our equipment to better serve our clients. 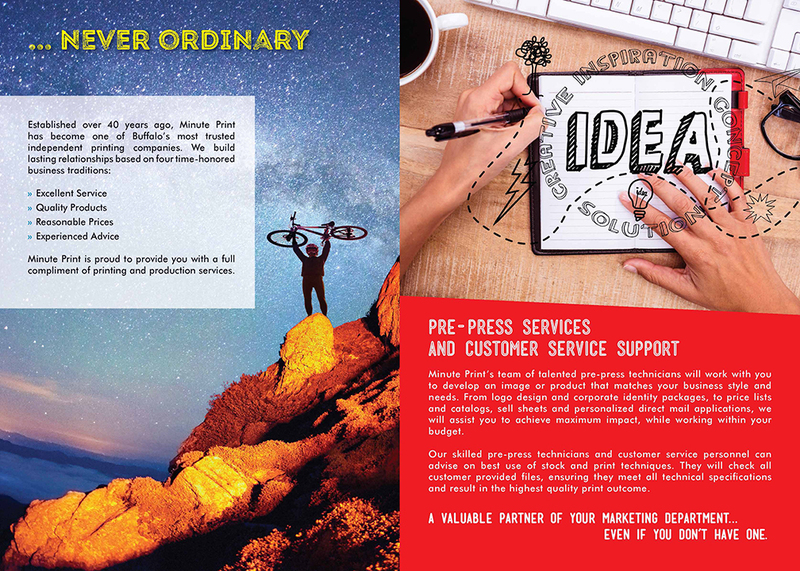 Our brochure outlines all the new possibilities that exist for your marketing needs. 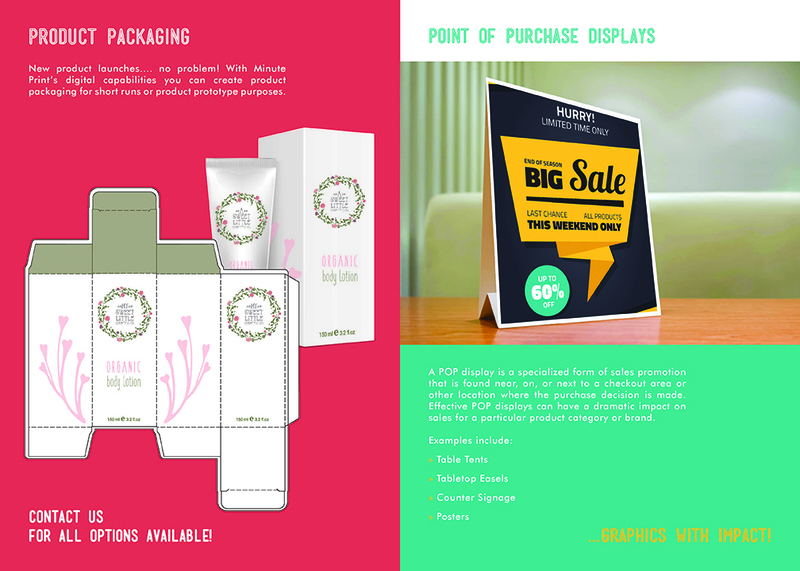 Our experienced staff would be happy to help your select the best promotional materials... to get your message out to your customers. 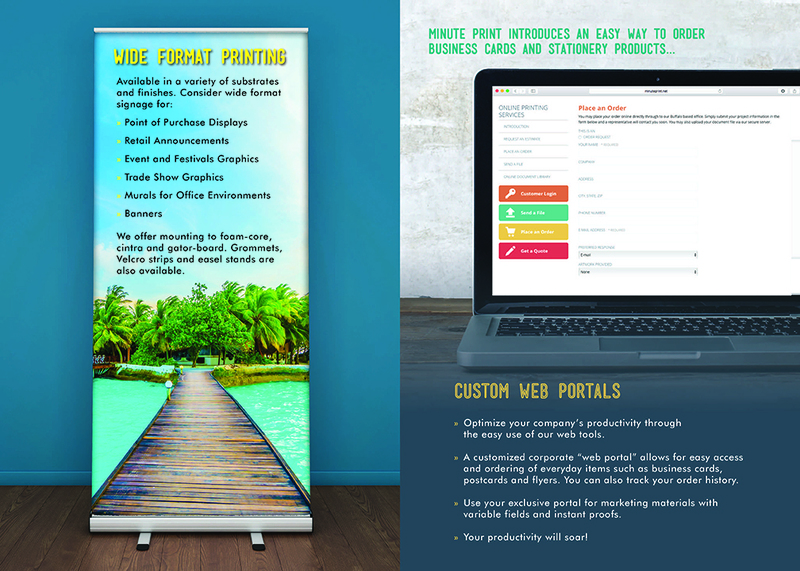 Minute Print challenges you to "Be Bold" in your approach to marketing your company. Please take a few minutes to review our capabilities brochure as a new part of our website. If you'd like a printed sample, just let us know. 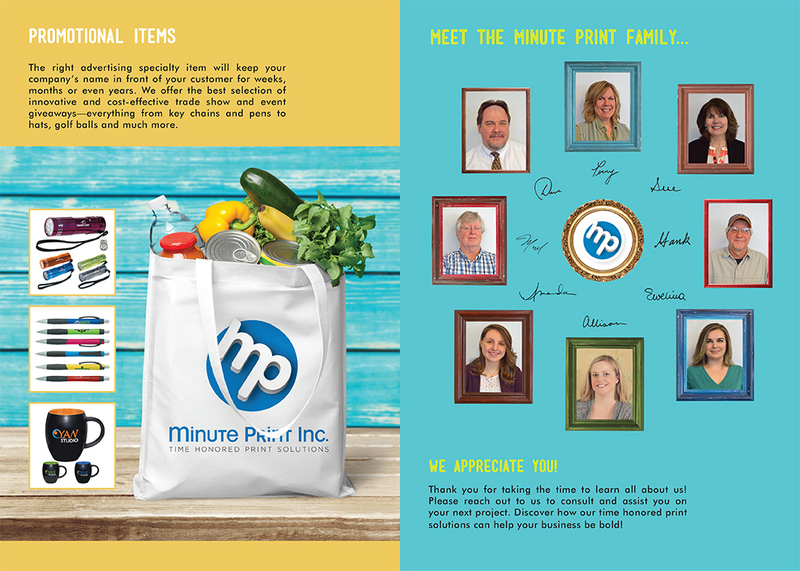 Minute Print proudly offers personalized service to each and every customer. 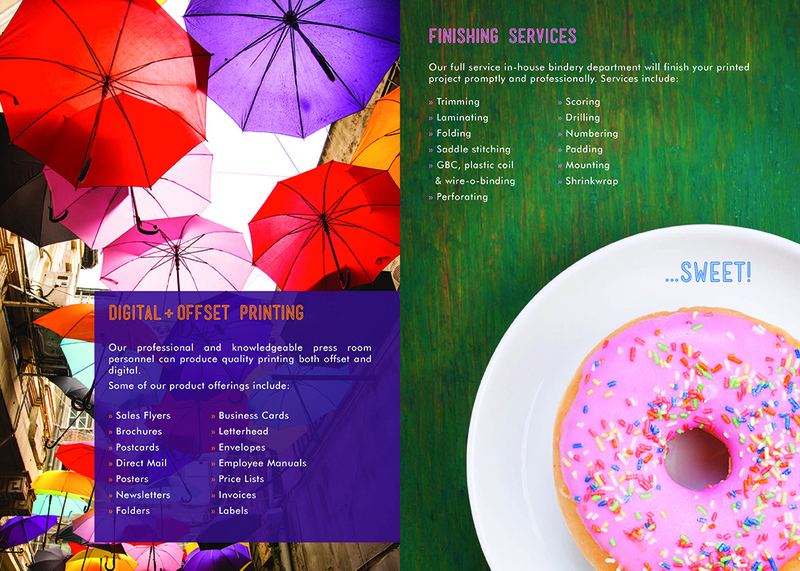 We're a local, independent printer and are here to help you! We've been in business over 40 years and have worked hard to earn our reputation. 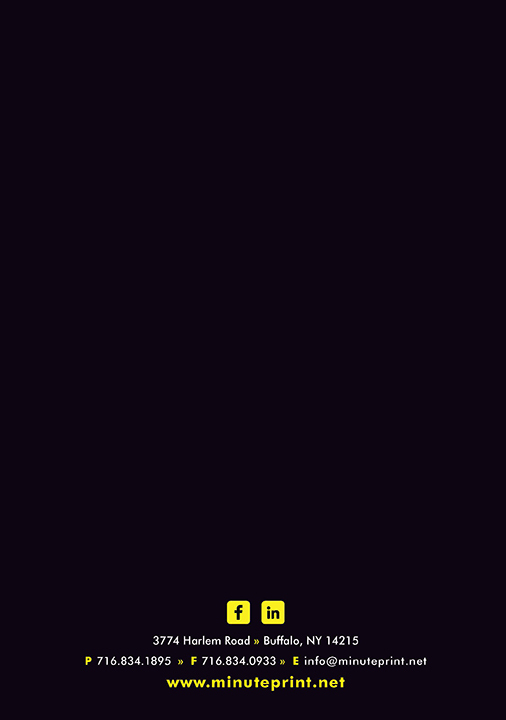 We look forward to sharing our technology and expertise with you! Would you like to speak with our staff about your printing needs?